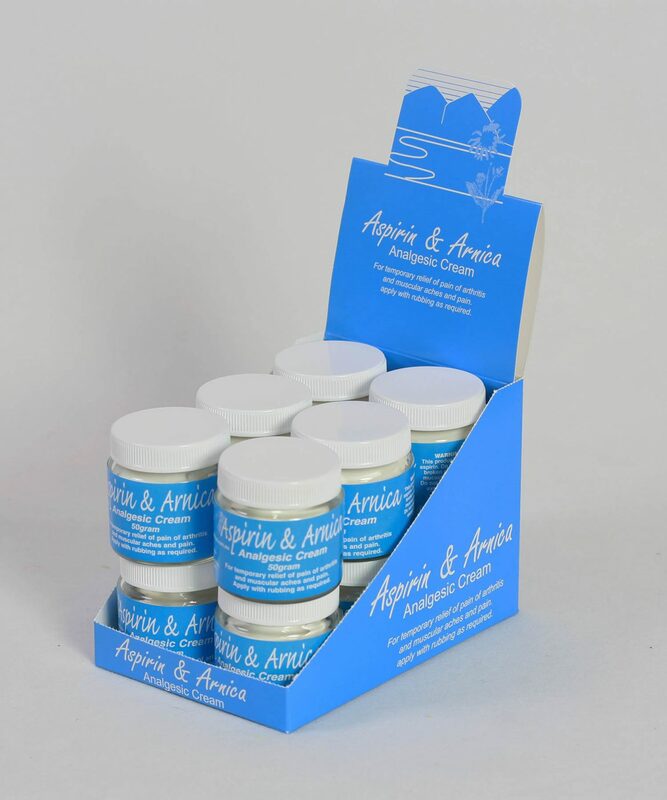 A pain relieving cream for sport injuries, arthritis, muscular aches and pains. Used by physiotherapists and sold to pharmacies throughout Australia. Marriott’s Aspirin and Arnica Analgesic Cream is available in bulk. Purchase 12 jars for the price of 10! Please take the time to read over our information sheet for a detailed description, indications, precautions, drug interations, dosage and administration: Marriott’s Aspirin & Arnica Analgesic Cream Info Sheet (pdf). Interested in stocking Marriott’s Aspirin & Analgesic Cream? Please contact us for more details on our wholesale prices.